Highway Assessment Programme® entails a scientific road safety audit throughcamera based recording. The process of recording the road environment, risks, and hazards, deficiencies in design and engineering principles is carried out by joint team of trafficengineers, accident analysts, and cameraman and road safety experts. 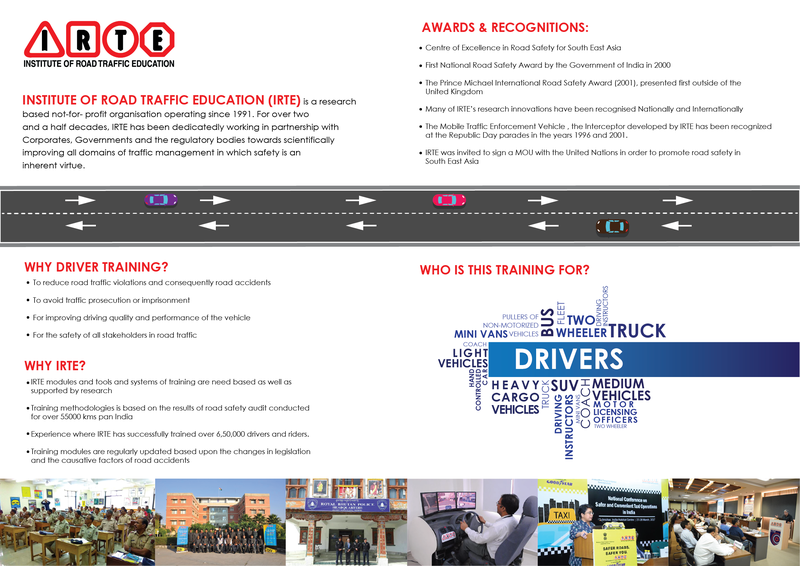 IRTE has added yet another innovative dimension to its research based programmes towards making journeys on highways safer. Highway Assessment Programme® entails a scientific road safety audit throughcamera based recording. The process of recording the road environment, risks, and hazards, deficiencies in design and engineering principles is carried out by joint team of trafficengineers, accident analysts, and cameraman and road safety experts. While the Journey Risk Management® (JRM® ) is focused towards the driver and for safety planning by the fleet operators, the HAP® is directed towards the highway departments or the road management agencies for improvement of the roadway stretches. The process includes creation of a customized digital road network, recording and analysis of accidents and accident-prone areas, potential risk parameters, speed analysis, volume counts, study of violations and the identification of deficiencies in geometric design and road infrastructure. Our research has adequately demonstrated that there exist black-spots and stretches even where the engineering aspects are in place and as per standards. The HAP® therefore includes the audit of human behaviour and other elements which relate to culture and habits of road users. To alleviate the identified deficiencies suggested remedial measures are recommended (both short term and long term) in the form of a detailed assessment report. The highway assessment report contains comprehensive visual and statistical content along with location specific observations and recommendations.